For more than a decade, Harmonix has structured licensing agreements for thousands of songs for use in Rock Band. There was a three-year stretch beginning in 2010 where the process was streamlined (or at least Harmonix was relieved of most of the burden). Rock Band Network allowed artists to upload and author their own songs through the Xbox 360's XNA Creator Club program. These tracks didn't have the spotlight that Rock Band's weekly DLC had, but it was a way to fill out the series' library with some deep cuts that didn't necessarily have mass appeal. RBN kind of disappeared with the emergence of current-gen consoles. Harmonix shut the program down in 2014. When Rock Band 4 released, users couldn't import their previously-purchased RBN tracks. They were casualties of the licensing agreements -- the sort of thing that's bound to eventually happen when dealing with digital rights across several video games, consoles, music labels, and years. Harmonix plans to revisit some of RBN's most popular tracks. In the coming months, Harmonix will re-release a selection of RBN's best-selling and most well-received songs as new DLC. This will be the only way those tracks are playable on Rock Band 4. However, they'll need to be repurchased by anyone who previously owned them. 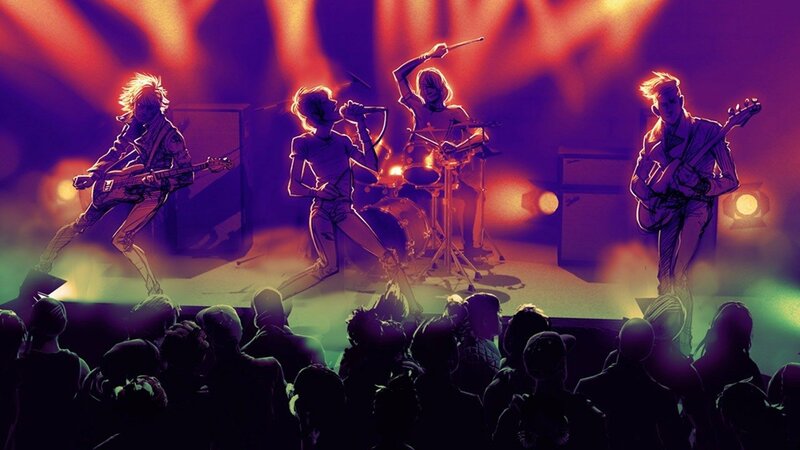 A Harmonix representative confirmed the news and elaborated upon the process by saying "We're currently in the process of bringing some of our favorite RBN tracks to Rock Band 4 as DLC. There was a ton of great content submitted to RBN and, even though we knew that we wouldn't be able to support entitlements, we always wanted to find a way to bring these songs over to Rock Band 4. As we release these songs, we're doing full QA passes to make sure that authoring, mixes and gameplay are up to today's standards. You can expect the first of these songs to be released as part of Rivals Season 6 with more to come alongside regular DLC over the course of the year." Despite these songs originally debuting as part of RBN, this isn't any sort of revival of RBN. There is no current program for musicians to self-author and sell their tracks on Rock Band. This is simply Harmonix reselling what once sold well. The best of RBN will soon be for sale in Rock Band 4; RBN itself is just as dead as it was five years ago.